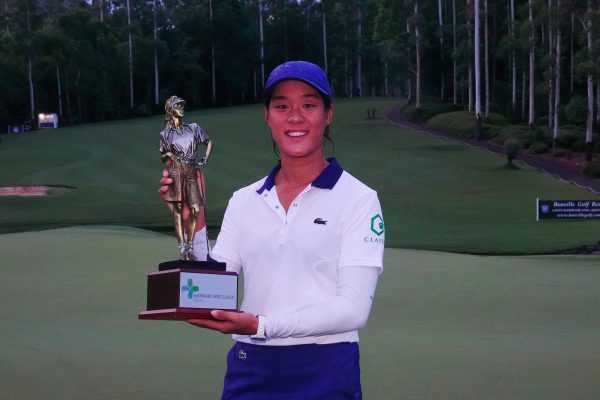 French golfer Celine Boutier added a second Ladies European Tour title to her name with a resounding win in the inaugural Australian Ladies Classic Bonville in Coffs Harbour. Despite a rain delay which suspended play for more than three hours, the 24-year-old saw off all challengers to win the Ladies European Tour-sanctioned event in fading light and with American Katie Burnett storming through the final round. “It was hard, and I was a little bit nervous,” 24-year-old Boutier admitted later, concerned the sustained rain and fading light might halt her momentum when play finally resumed at 5.45pm (AEDST). Several Australians featured prominently in the event but were unable to make ground on the leader throughout the final day. Of the international visitors, American Christina Kim said the region was among the most beautiful she had seen in Australia. “This is my first visit to Coffs Harbour, and it’s been absolutely breath-taking,” Kim said. “My first day here I’m like I saw a koala (and) a wallaby in the wild. Bonville Resort Chairman Peter Montgomery said the event was an outstanding success, brought together in a short timeframe and shining the international spotlight on one of Australia’s most beautiful regions and golf courses. 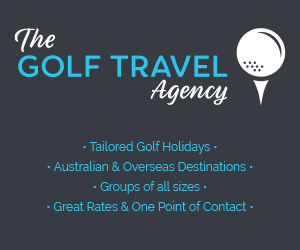 “We provided the venue and a lot of assistance by our staff but the background operation of putting it together by Golf NSW, the Australian Ladies Professional Golf, and the Ladies European Tour – that has been outstanding,” Mr Montgomery said.